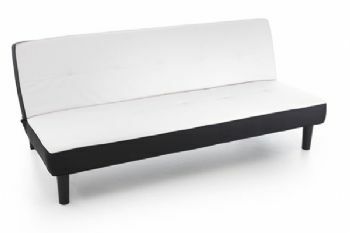 The Lexi Sofa Bed in stylish black and white faux leather is great for any room due to its slim, sleek and overall small design with underneath storage space. Made to be sturdy, this becomes a cost effective solution at its low price tag. Easy to build by simply screwing in the feet (located in the base) and off you go!